USPSTF Reaffirms Recommendation for Preeclampsia Screening | HM MEDICAL INC. 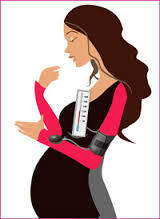 Blood pressure measurements throughout pregnancy are recommended to detect preeclampsia in pregnant patients, said the U.S. Preventive Services Task Force. The Task Force concluded that there was not only a substantial benefit to screening pregnant women for preeclampsia with blood pressure measurements, but no adequate evidence for harms from this screening (B recommendation). This was a reaffirmation of a USPSTF recommendation from 1996. “Given the evidence that treatment can reduce poor maternal and perinatal health outcomes and the well-established accuracy of blood pressure measurements, the USPSTF found adequate evidence that screening for preeclampsia results in a substantial benefit for the mother and infant,” according to a draft recommendation statement, published on the USPSTF Web site. While the American College of Obstetricians and Gynecologists has recently changed the definition and indications for preeclampsia, the Task Force emphasized that the importance of screening remains unchanged. In addition to close maternal and fetal monitoring, the USPSTF cited the effectiveness of antihypertensive medication and the anticonvulsant, magnesium sulfate, for treating preeclampsia. One large international trial showed pregnant women given magnesium sulfate were associated with a 58% reduced risk of preeclampsia than those receiving placebo. A Cochrane review found similar results, with magnesium sulfate linked to lower risk of eclampsia and maternal death. After 12 weeks of gestation, daily low-dose aspirin is also recommended by the Task Force as a preventive medication for women at high risk of developing preeclampsia. ACOG President Thomas Gellhaus, MD, agreed that detailed medical history and routine blood pressure measurements are the best tools available to alert obstetrician-gynecologists of a potential risk in their patients. The USPSTF recommendations will be open for public comment until Oct. 24, after which time the Task Force will release their final recommendation statement.